Bauer Vapor X60 Sr Hockey Skate | Sports Etc. 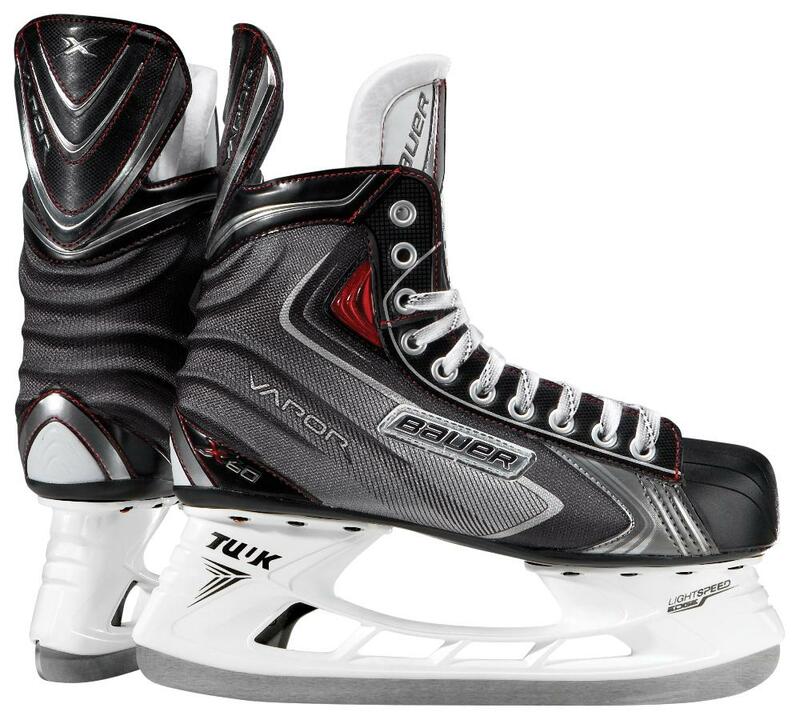 The Bauer Vapor X60 is the Vapor skate to choose when you’re ready to commit. This is the skate you choose when the basic beginner models just don’t cut it anymore. The upgraded tongue and additional heel/ankle support are ideal for the player getting more and more ice time. The New Tuuk Lightspeed Edge holder allows the ability to change blades on the fly! Bauer Vapor Tapered Fit– Standard fit in the toe box. Narrow V-fit in the heel/ankle. Good for normal to slightly narrow feet. Sports Etc Performance To Value Rating– 7 out of 10- Recommended for any player who has surpassed entry level play, and is playing at an intermediate level.